From their website: "Combres helps your ASP.NET and ASP.NET MVC applications perform faster and rank better with YSlow and PageSpeed". I did some tests and this is true. This tool does make the website perform better and rank better with YSlow and PageSpeed. However, it is not easy to make it play nice with Sitecore 7. I found an old post by Alexander Doroshenko on how to make Combres work with Sitecore 6.4/6.5, but that does not work anymore. Combres has released newer versions since then and so does Sitecore. After trying to make this work for some hours, I finally ran into this blog by Mikael Högberg on how to make it work for Sitecore 6.6. It turns out the IHttpHandler Combres uses is synchronous and Sitecore now only works with asynchronous handlers. Here are the steps you need to follow in order to get it to work with Sitecore 7. 1. Backup your web.config (really important). This will add the references you need to your project and create a new class (App_Start/Combres.cs) and the Combres configuration file (App_Data/combres.xml). It also adds 2 different configuration examples (combres_full_with_annotation.xml and combres_minimal.xml). 3. In Visual Studio, delete the App_Start folder (including the Combres.cs file beneath it). 5. Update the IgnoreUrlPrefixes setting and append it with "/combres.axd". 8. As described in Mikael Högberg's post, you need to create a new class that registers the Combres route after MVC routes are processed. 9. Add the config file to the App_Config/Include folder to register the class. Name this file ZCombres.config. Why name it like that? Here is why. Sitecore processes configuration patch files (inside App_Config/Include folder) in alphabetical order. If you name this file Combres.config, it will be processed before Sitecore MVC's patch file (Sitecore.MVC.config), so the Sitecore MVC initializers will be included after the Combres initializer. We need the Combres initializer to run after Sitecore MVC's pipeline initialization (Sitecore.Mvc.Pipelines.Loader.InitializeRoutes, Sitecore.Mvc). .xml to see all the options you can set in the configuration file. 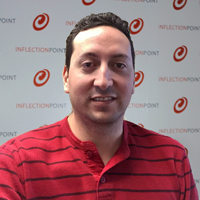 Born and raised in Mexico City, Eduardo has over 15 years of experience, 6 working with Java, 8 with .NET and 5 with Sitecore and other CMS. He is an Electronic Systems Engineer who enjoys tennis and has written some pretty cool blog entries you should read.